The Patriots broke a fourth-quarter tie with the Green Bay Packers after a trick play involving wide receiver Julian Edelman throwing to running back James White picked up 37 yards and put New England at the 2-yard line, in position for the go-ahead touchdown. The play : On second-and-6 at the Packers' 39-yard line with 11:44 remaining in the fourth quarter of a 17-17 contest, Tom Brady took a shotgun snap and threw a backward pass to Edelman wide right. Edelman then threw back across the field to White, who sped up the sideline behind blockers for a 37-yard gain, putting the Patriots on the 2-yard line. 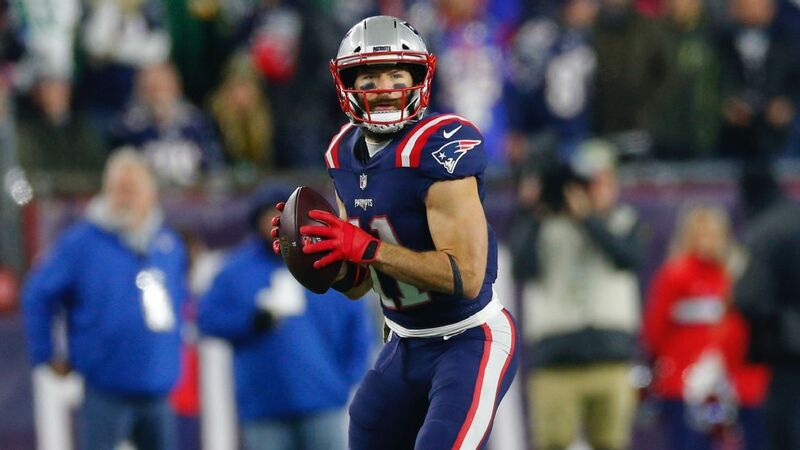 When Edelman caught the ball from Brady, there were 6.2 yards -- not to mention receivers Josh Gordon and Chris Hogan -- between him and the nearest defender, according to NFL Next Gen Stats. Lawrence Guy's forced fumble and Julian Edelman's throw to running back James White key win, help Pats keep up in AFC race. That forced the Packers' defensive linemen and second-level defenders to flow play-side to Edelman, with tight end Dwayne Allen releasing vertically down the field to occupy the top of the secondary.